When Tony Antony recorded two Scaly-breasted (Spotted) Munias in his list from Erayilkadavu Bypass Road, Kottayam, on Sunday, 20 November 2016, the number of records uploaded to eBird from Kerala reached 1 million! 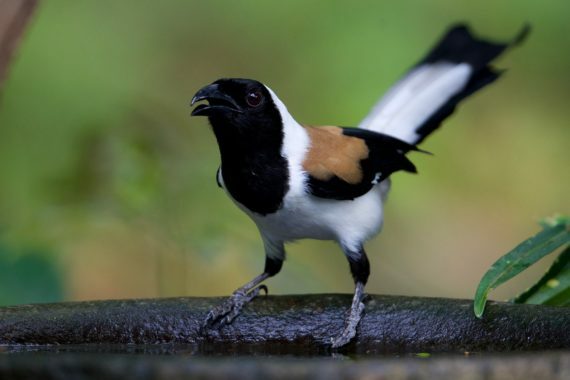 With more than 70,000 checklists, covering 499 of the 510 species found in Kerala, the state has contributed 22% of the data collected across India. This is a very happy moment for all the eBirders from the state who contribute actively to several structured bird monitoring exercise like the Kerala Bird Atlas, the Onam Bird Count, heronry counts, wetland counts and pelagic surveys. Last November, eBird introduced support for direct uploading of photographs and media and we have more than 6000 photographs and 300 sound recordings from the state. 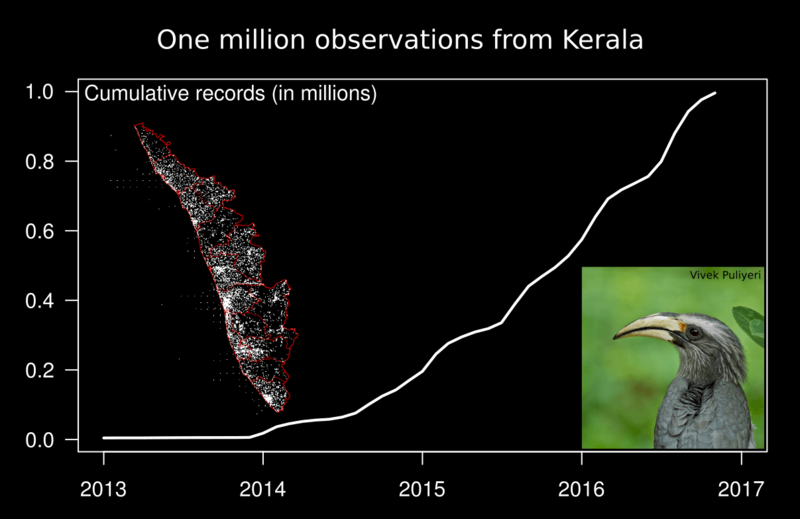 Many thanks to all eBird users and our partner groups across Kerala – and congratulations as well!